When it comes to livability and economic investment, Hagerstown has become the "next big thing" throughout the state of Maryland. Residents can enjoy many employment opportunities, culture, beautiful parks, nearby wooded areas, and great shopping -- at a lower cost of living. Hagerstown's location, at the apex of I-70 and I-81, ensures its continuing economic promise with the relocation of new businesses in need of highway access. In addition to the many pleasures of the city and the county, residency in Hagerstown means living just an hour from the many urban offerings of Washington, DC and Baltimore, and the natural wonders of Western Maryland. Downtown Hagerstown, just two blocks from Mount Prospect, has become the target of extensive re-development. In the past several years, many new restaurants and retailers have established themselves, providing superb shopping, dining and entertainment venues. This wave of commercial growth follows a continuing trend of downtown residential relocation. 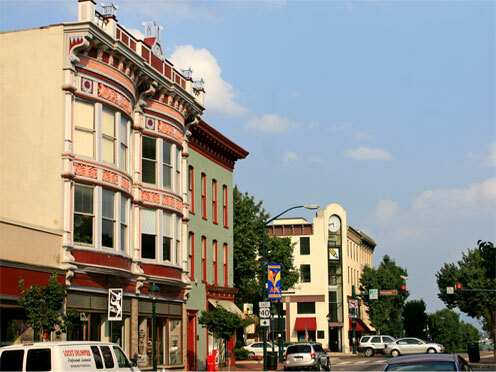 Be apart of the "next big thing" by joining in on Hagerstown's ongoing renaissance. Learn more about Hagerstown by visiting the links to area organizations and services.